Ramadan 2012 will probably start on 21st July Friday in Pakistan. 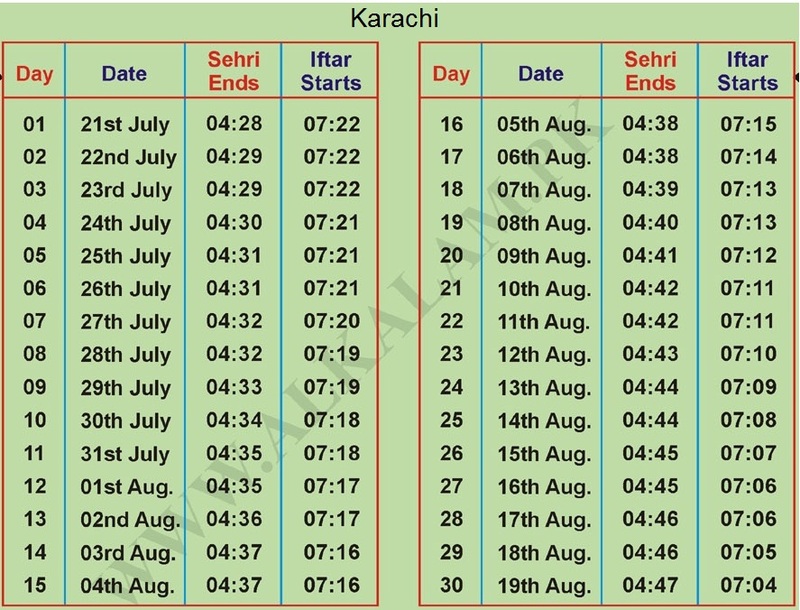 Pakistani Muslims will fast in this blessed month and will do prayers. 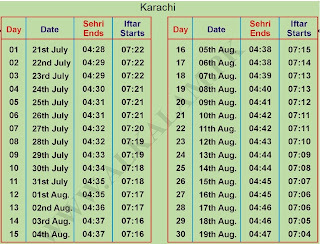 Following are Ramadan Calendars and Timetables for different cities of Pakistan like Karachi, Islamabad, Faisalabad, Lahore, Multan. 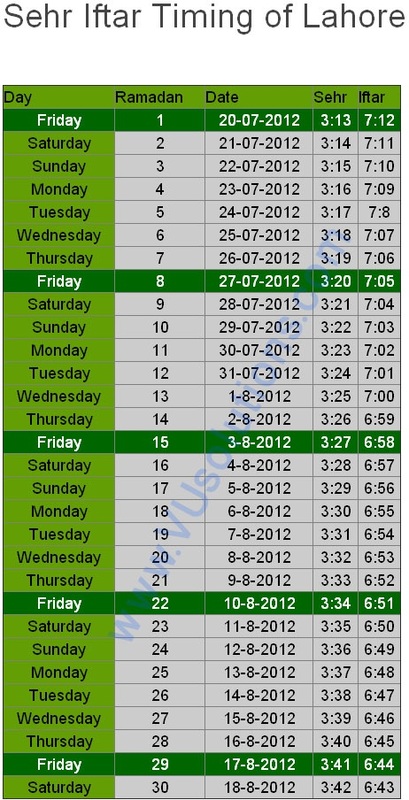 Update: There can be mistakes in some Timetables.